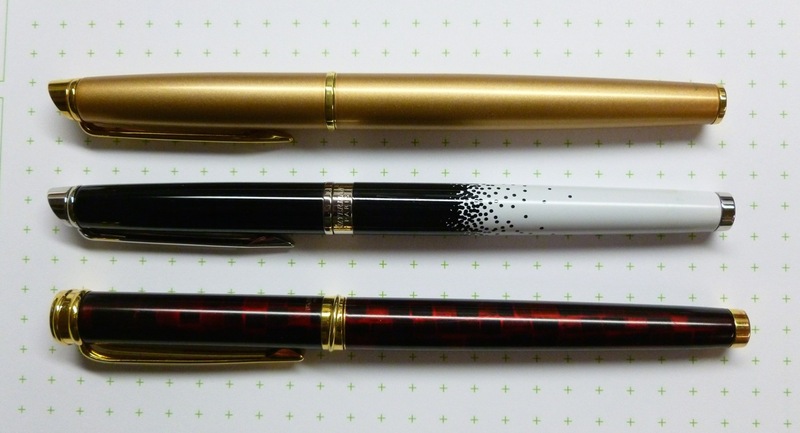 I had a little fun with last week’s post that featured three of my newest (all used or new old stock) Waterman pens. This isn’t a brand that was on my radar until I picked up my first used Waterman, a Phileas, from The Gentleman Stationer. I’ve since acquired five more (two more Phileases, two Hemispheres, and one Harmonie) and they’re some of my favorite pens. Their looks don’t knock me out, but their nibs do. I haven’t met a bad one yet. This particular one, the Harmonie, might be my favorite of the bunch. 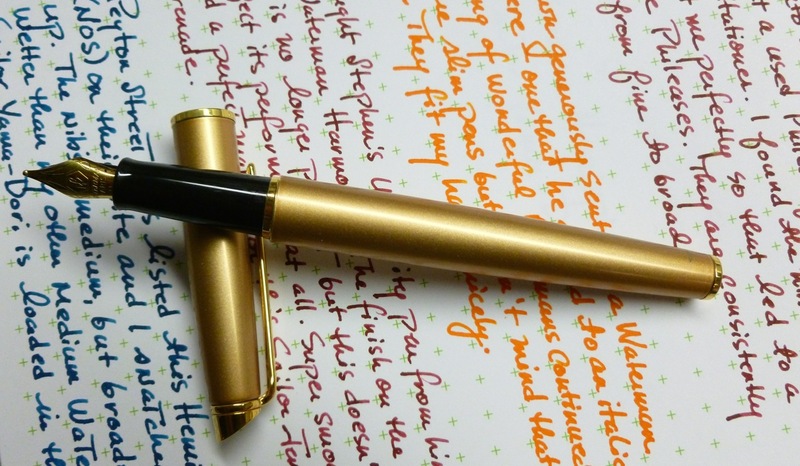 It’s a little unfair to review this pen because it’s been discontinued (a shame), as has the ink I’ve filled it with— Sailor Jentle Grenade (a shame x 1000), but I still feel the need to tell the tale of this pen. It’s one I write with every day, even if it’s just to jot down a few notes. 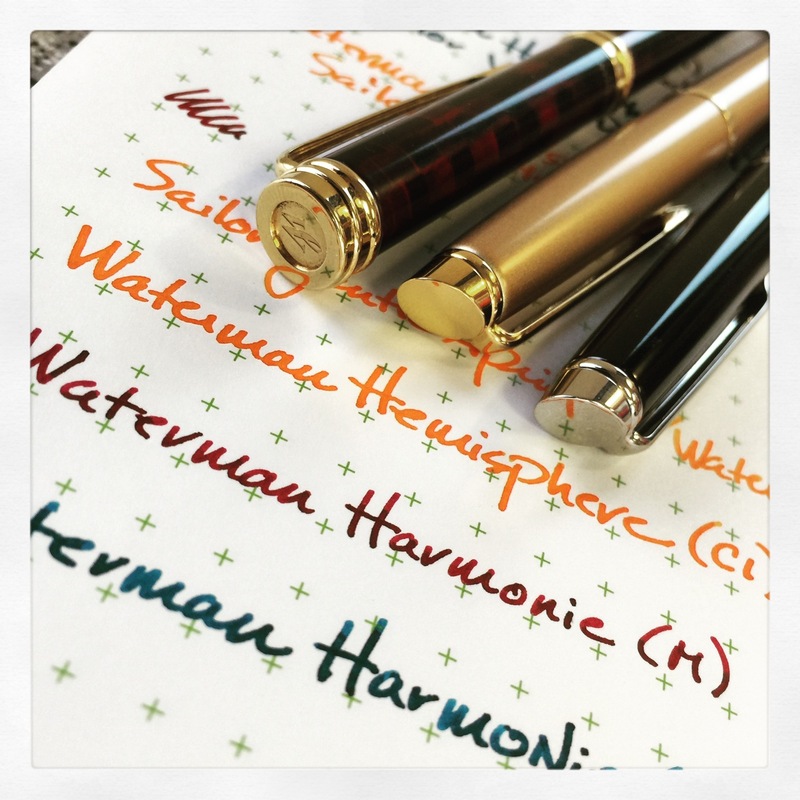 This Waterman Harmonie popped up on SBREBrown’s “For Sale” page awhile back, and though he noted that the nib wasn’t perfect— a bit of the plating had peeled away— I was interested. Great price. Discontinued pen. Cool looking lacquered finish. Those Waterman nibs. We had a brief and cordial email exchange, and the deal was sealed. 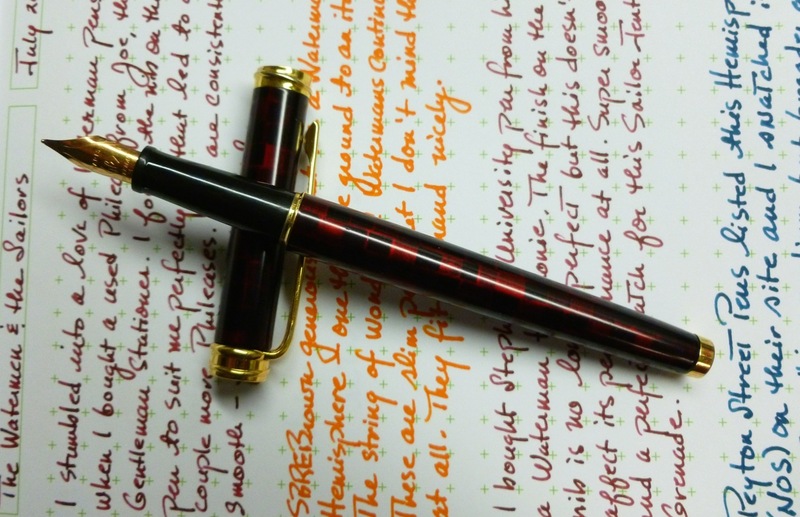 This was Stephen’s first university pen, and that also upped my interest in acquiring it. I’m a big fan of Stephen (AND Azizah) so owning a Doc Brown souvenir was the proverbial icing on the cake…or the tipping on the nib, I should say. Stephen and Azizah put a tremendous amount of work, heart, and passion into their pen review videos, blog posts, Instagram, Facebook, and Twitter posts. I’ve learned so much from both of them, and consider them friends, though we’ve never met. 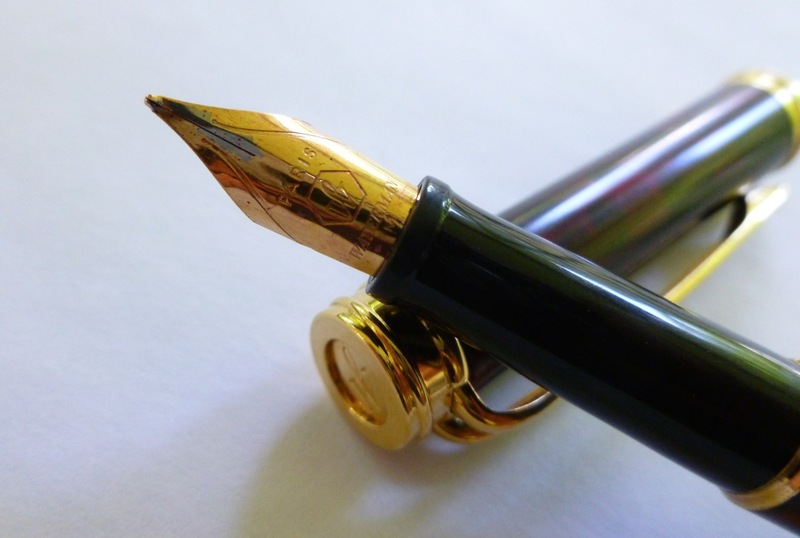 Plainly put, I admire them which makes me admire this pen just a little bit more. As I said, the nib is not cosmetically perfect but that doesn’t affect its performance in the least. There’s just something about this pen— the way it fits my hand, the quality of this wonderful medium nib— that improves my handwriting. Very little pressure is needed to lay down a solid, wet line. It’s just perfect in terms of flow and smoothness. Who cares if the plating isn’t perfect? Not me. 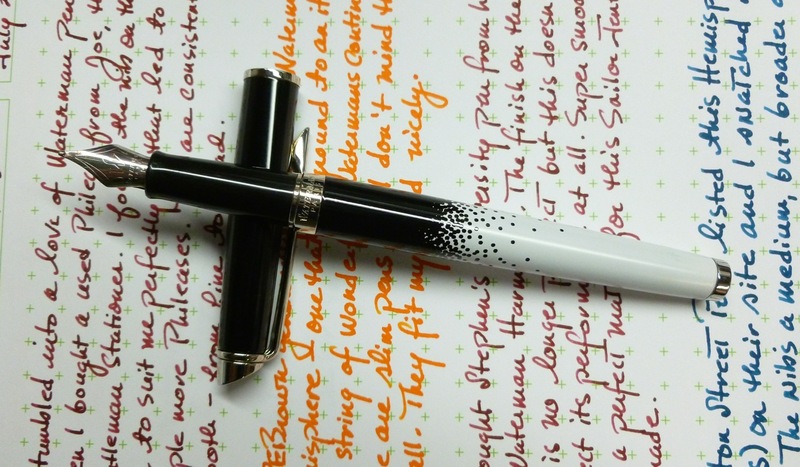 I do like the subtle checkered pattern on this lacquered pen. Branding is quiet and tasteful. 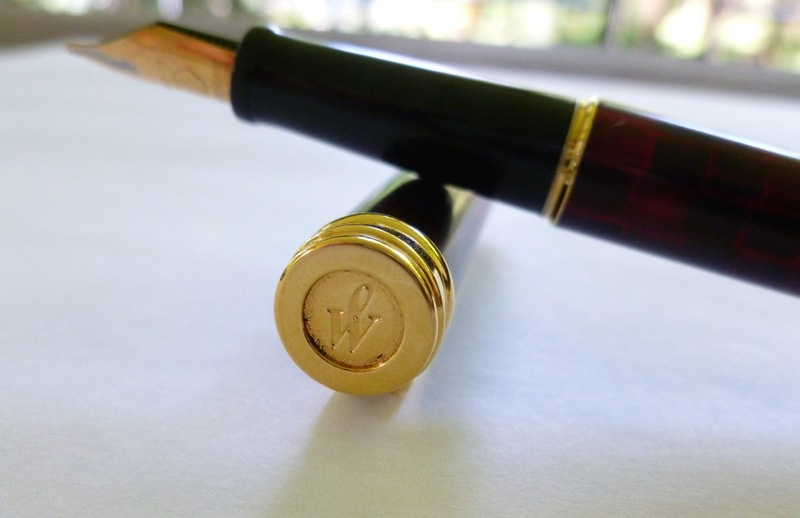 The open clip, a Waterman trademark, and looks great on this pen. Even though I keep saying that I’m not wowed by the looks of my Waterman pens, I think this one is unique and quite attractive. The section is narrow, which, I’m guessing is one of the reasons why Stephen was looking to sell off this pen, even though it held some fond memories for him. For my considerably smaller hand, it feels just fine. 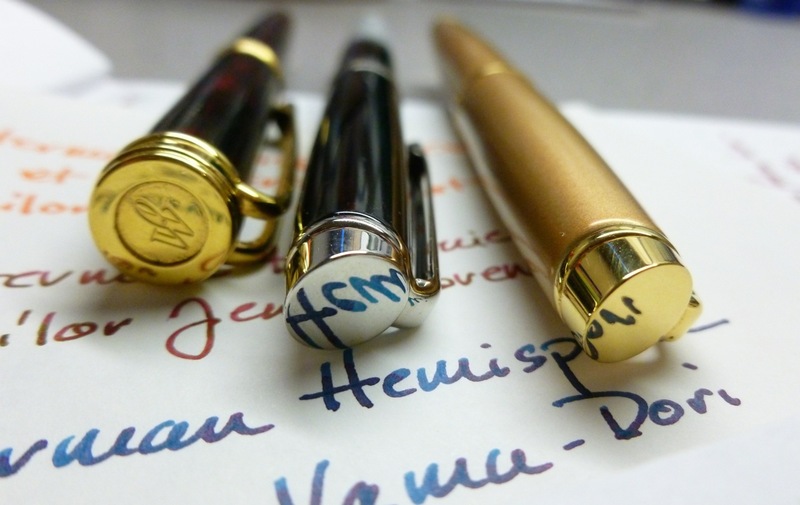 Maybe Waterman isn’t one of the first pen brands to pop into your head when you think of affordable, great writing pens. 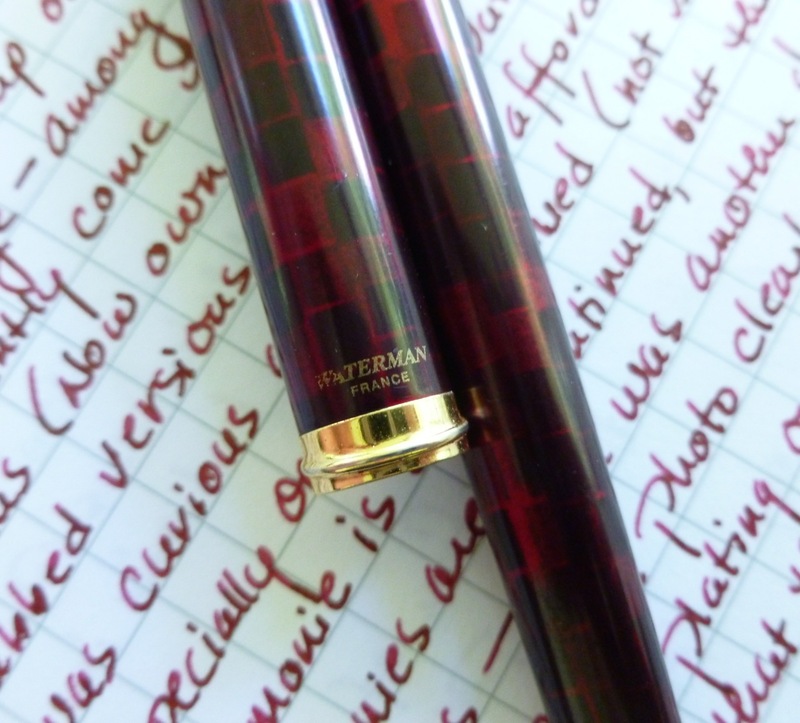 (Of course there are expensive Watermans, but I haven’t found the need to explore that tier as yet.) 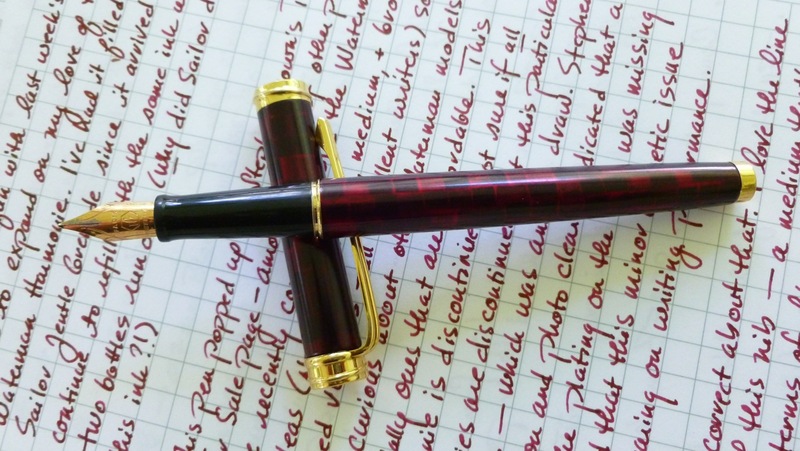 Though many models have been discontinued, they’re worth a look if you stumble onto one for sale online from a trusted seller or vendor, or in person at a pen show. Consider yourself warned—while at the DC Pen Show, I call dibs!